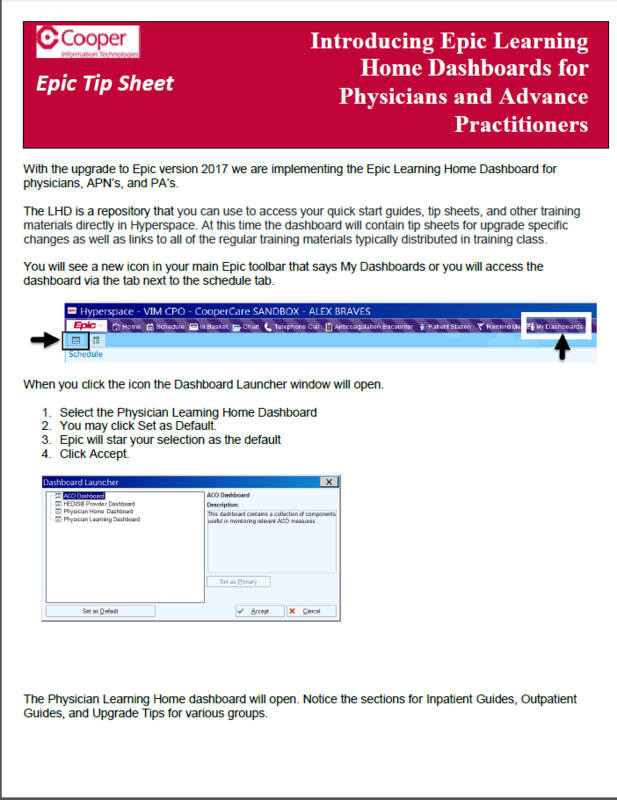 See below how to access the Epic Learning Home Dashboard. 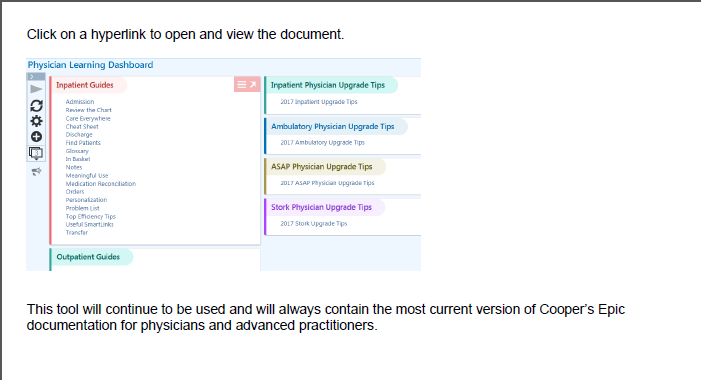 You can click here to be taken directly to the tip sheets. As part of the ongoing initiative to decrease the incidence of CLABSIs, the consult for PICC placement was updated to include the below changes. Do you have a difficult time remembering what the minimum time is for each level of service when you code by time? Do you want to make it easier to choose your level of service?